Using breath work, sensory awareness and guided imagery, I take you into a hypnotic state that is pleasant and secure, a space where your imagination can provide solutions to life’s thorniest problems. Your body feels pleasantly floaty as your mind tracks my voice; the relaxation you experience is both deep and lucid. In this process, your subconscious sets the agenda and I provide the guidance. You are always in control and, when you emerge, you remember the positive suggestions I gave while you were in trance. In hypnosis you tap your innermost wisdom as you dialogue with parts of your personality and process events from the past. Here the pieces of your life rearrange themselves into a more meaningful whole. You discover how to heal emotional wounds with guided fantasy and healthy self-talk. You learn how to use the mind to influence the body, for example, how to alleviate pain. Once you are familiar with the hypnotic process, I can teach you self-hypnosis, which you can use between sessions and after completing therapy. Hypnosis has sometimes been described as "meditation with a goal," and you may find yourself integrating self-hypnosis into an already-existing meditation practice. For many, hypnotherapy leads to feelings of intense presence and self-acceptance. Anxiety, phobias, trauma. Insomnia, weight reduction, chronic pain. Smoking, addiction, and habit resolution. Shamanism is an ancient practice of entering into an altered state in order to communicate with the spirit world and effectuate healing. Anthropologists studying indigenous cultures around the world have found remarkable similarities in shamanic methods and teachings: Using sonic rhythm, the shaman shifts consciousness in order to journey into "non-ordinary" reality, where he can meet with power animals and spirit guides that guide him in his work. The altered state experienced by the shaman has much in common with the hypnotic trance, and many clients I've worked with have had spontaneous shamanic experiences of self-healing in hypnosis, although they may be unfamiliar with shamanism. Shamanism was brought to North America by the respected anthropologist, Michael Harner, PhD, who studied indigenous cultures around the world and developed Core Shamanism, a set of techniques based on practices that are shared globally. While Harner advocates drumming as the main tool to experience shamanic trance, I've found that some clients prefer gentle music and others may find that hypnosis itself suffices. I guide clients to connect with spirit realms, where they find support and solutions that serve them for the rest of their life. Here I am teaching or supporting processes such as journeying, power animal retrieval, and examination of soul contracts. Simultaneously, I am working with my own helping spirits to effectuate healing for my clients. This amy involve soul retrieval or energetic balancing with Villoldo's illumination technique. I routinely integrate shamanic practices with the classic methods of hypnotherapy, such as regression, emotional clearing, and personality parts dialogue. "As an artist, I am always seeking ways to release myself to create. Jessica gave me back my memories. I had mentally incorporated a confusing spiritual concept about 'staying in the present' which literally cut me off from my past. I felt blocked. She told me that our memories are the source of great richness in our lives and our creative worlds. To mine them and to enjoy them. She gave me permission to open up the luscious world of the life I've lived so far. I understood then, why Sam Shepard would feel OK writing 13 plays about his father! than I had allowed myself to have. I've always found hypnotherapy to be the most effective way to change deeply and longterm. To plant acorn seeds for my life that will grow in to giant oaks. Jessica's steadiness and acute perceptiveness make her a great choice for both the background talk of therapy and hypnotherapy itself. 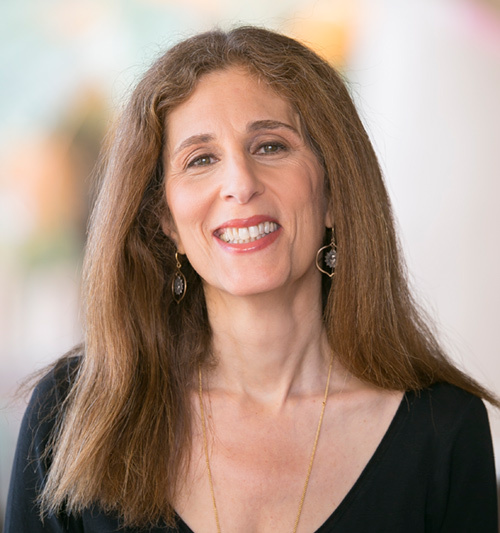 I highly recommend Jessica Levine for opening up and growing in ways you want to grow." --Nan P.
"I would like to recommend Jessica for Hypnotherapy healing. I worked with her over a few sessions to overcome some of the phobias I was having that were becoming detrimental in my life. By working in tandem with her sessions and my own commitment to healing, I slowly began to see the root causes of where my phobias were stemming from. I really found value not only in the hypnotherapy sessions, but also in part of the sessions where we just talked. Jessica listens well and is wise. She knows what to say and how to say it. I could not have healed of these life-long phobias without her help. Thank you so much Jessica. I am eternally grateful!" --Silvia Q. "Jessica is terrific. I was skeptical that hypnotherapy would work for me but, with her expert guidance, have had two incredible life-changing sessions. I found her to be very open-minded and interested in my history and situation and I felt very comfortable and supported while in discussion or on a 'journey'. She is low-pressure in terms of return visits but the results of her sessions are proof of their effectiveness and her skill. I highly recommend Jessica if you have always been curious about hypnotherapy and perhaps open to what she might be able to do to help your psyche and/or spirit. You will not regret it." --Melissa C.
“Jessica, I began this journey into hypnotherapy to explore and address the barriers to weight loss and weight management that I believe exist inside me, and with your work I have turned many corners. Not only have I gained alternative understandings about what food means to me at the unconscious level, I have also been given and co-created tools that help me manage my overwhelming anxiety. I had a great block in my studies, and since our work I have resumed regularly studying for my licensing exam, and now believe I am on my way to taking it. Before I dreaded studying for fear of failing, now I have accepted that I will study and take the exam until I pass, no matter how many times. You have also given me concrete strategies that I can use to reduce my anxiety when I study and when I take the test. In terms of my weight loss and management, so far I’ve lost 16 pounds, and I do feel confident that I will continue to lose weight with your knowledge about overcoming the past and present associations I make with food, as well as your helping me overcome the obstacles that lead to my unhealthy eating patterns. “Hypnotherapy was new to me when I began with Jessica Levine. My sessions with her were very helpful for my problems with indigestion, tension and stress. I specially appreciated that office visits were 90 minutes in length, which gave time to both discuss my current situation and have a good hypnotic session. Not only did I get relief in these sessions, I also learned a number of self-hypnotic techniques to use outside the office to help with physical and emotional problems. I trained in hypnotherapy with leaders in the field, Randal Churchill and Marleen Mulder, at the Hypnotherapy Training Institute of Northern California. I completed my training in 2005. I also hold a Ph.D. in English from the University of California, Berkeley, and an M.A. from Teachers College, Columbia University. In recent years I have become increasingly interested in how the practical and spiritual wisdom of ancient cultures can be applied to some of the ills of modern life. In 2003 I completed a year-long training in Classical Feng Shui at the Golden Gate School of Feng Shui. This included study of Daoist philosophy and healing. I have also completed a curriculum in basic acupressure at the Acupressure Institute of Berkeley. There have been three main influences on my own approach to shamanic work: Michael Harner's Core Shamanism, Lakota practices taught to me by Ellen Fishburn, and the shamanic training I've received from Greg Harper at the HCH Institute in Lafayette, which includes practices from Peruvian and Amazonian tribes reported by the anthropologist Alberto Villoldo. Sessions are $160 and last approximately 1 hour and 20 mn. Please call (510) 326-4675 for a complimentary consultation and to schedule. I am located in the East Bay.